The essential tool for a traveler. 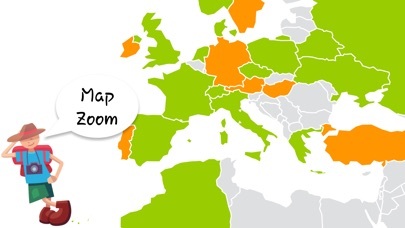 Create your own travel map marking states and regions where you've been! 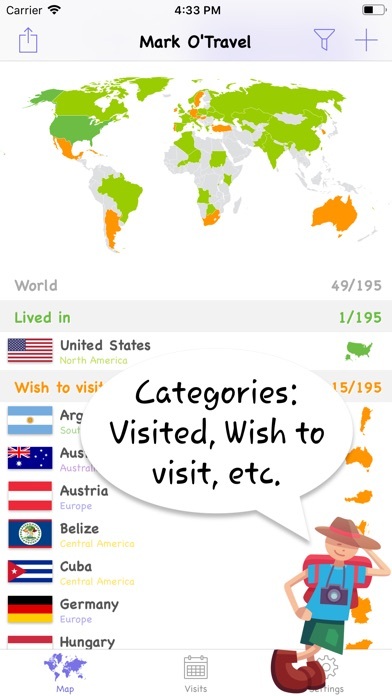 The app is user friendly, and allows to: - mark and add the visited countries and regions - categories: visited, wish to visit and others - keep the travel stats - pin pictures and notes to the visited places - sync with the iCloud and Dropbox to restore and access the data from the new devices - share your own travel map via different social networks Leave your feedback at email iosradetel@gmail.com. 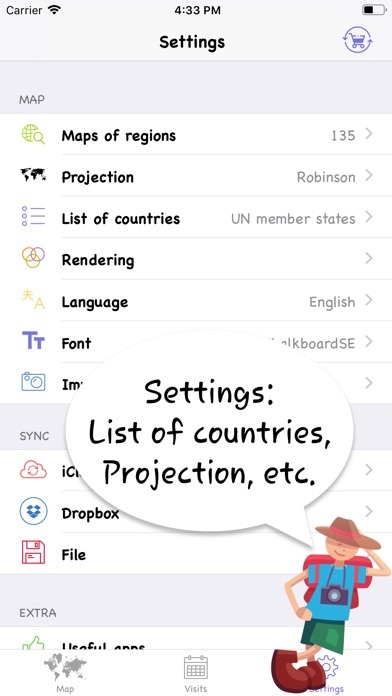 Improve your geography skills using the application! Thanks for including the TCC List!!! I can keep record of the countries I visit. Load pictures and notes of each country I visit. 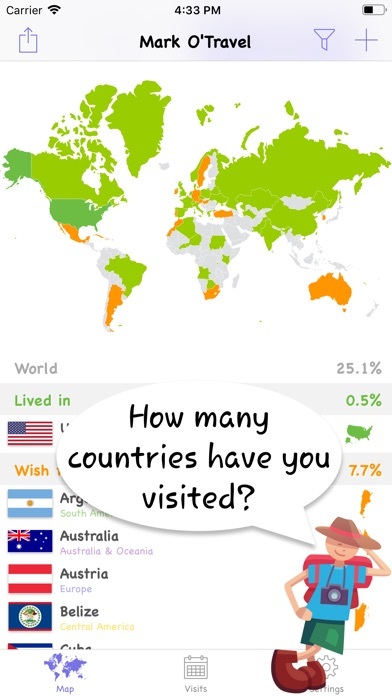 I wish there was statistics on the number of visited countries and maybe cities, too. I really love the app! Only thing I have noticed is that when I try to change the name of color group it reverts back to what it was originally as other. Not sure if it’s a glitch but other than that it’s perfect! Does not restore purchase if you get a new phone!! I purchased a new iPhone XS and when I open the app it did not transfer the places I visited nor did it restore my purchase. I purchased the app the day before I decided to purchase a new phone. So now if I want to add places visited it wants to charge me $3.99 again!! Very disheartening that the app does not allow you to restore a purchase. As a Ukrainian citizen, it concerns me, that Crimea is marked as Russian territory in your app. Was disappointed to find after paying to unlock all maps that the maps only have blocked out regions to select for some (not all) countries. There are no cities or other details at all visible on the maps. 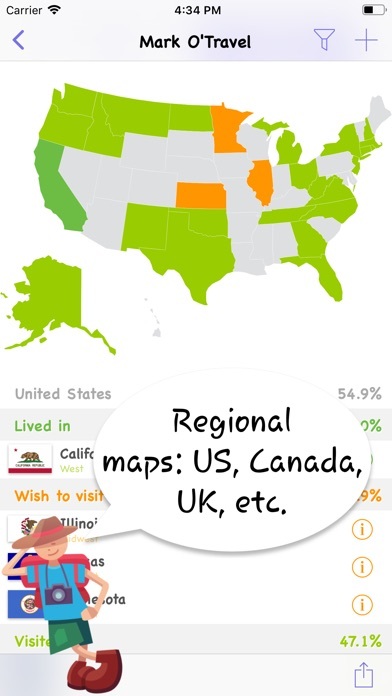 So if you’ve traveled in countries and know which cities you visited, but did not happen to memorize the region each city was in, you have to research that separately before selecting the region in this app. Not exactly user friendly. 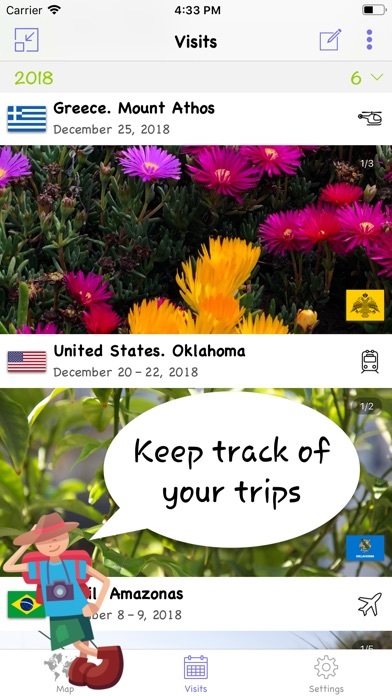 Good app to track countries. Don’t waste your money paying for the extra maps. I don’t understand why the map shows small countries like Vatican City but not others Andorra or Monaco. I wish I could see all countries no matter how small. EveryPlace - Where I've been?